Back in August we reported on disturbing events at a marsh harrier nesting site on Denton Moor in North Yorkshire where a series of visits resulted in shots being fired, eggs being removed and the breeding attempt not surprisingly being unsuccessful. Some of those events can be viewed here. North Yorkshire Police took the matter very seriously made a number of local enquiries to speak with landowners and land users, interviewed two men and made a public appeal for information. 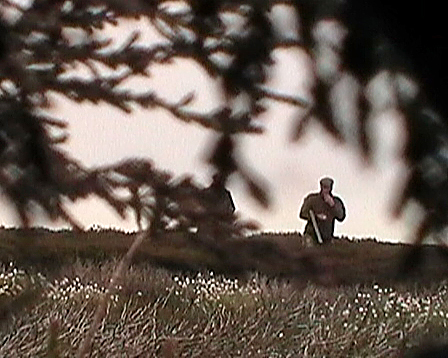 Since then the force have made further enquiries to assess whether any forensic voice analysis could be undertaken on the conversation recorded by the RSPB’s covert video camera. It was hoped that it may be possible to compare this recording with the voices of potential suspects obtained during interview. Unfortunately, the technical assessment ruled the quality of sound on the covert recording, on this occasion, would not be sufficient to allow a meaningful comparison to be made. RSPB would like to thank the North Yorkshire Police for their continued efforts to progress this investigation. Anyone with any further information should contact the police on 101 or contact the RSPB Investigations Section crime@rspb.org.uk.